Watch for the developing "battle of Lake Okeechobee" ! 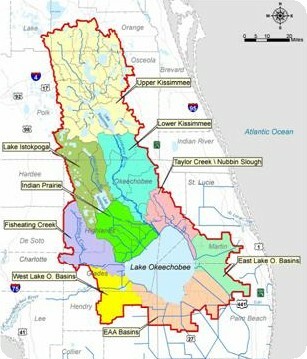 Lake Okeechobee sits right in the centre of the Florida peninsula (satellite view). channel urban and agricultural polution to the Lake. 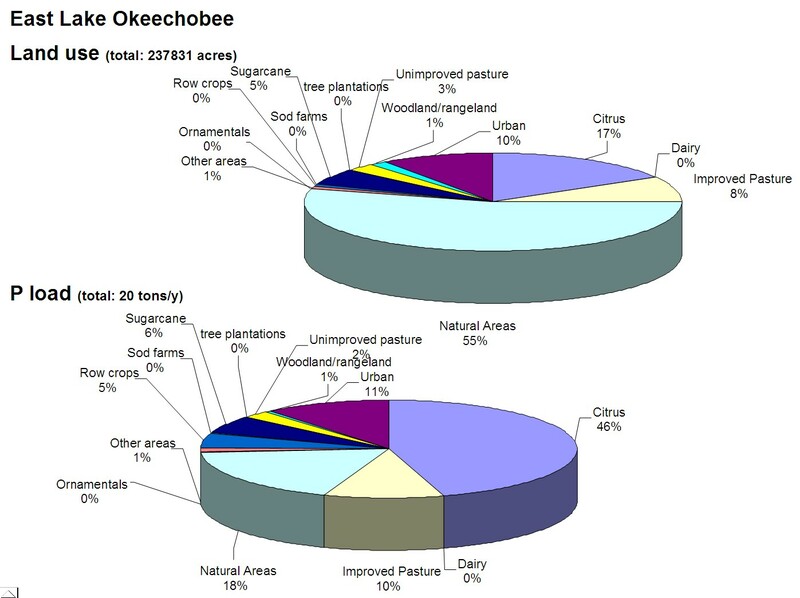 - this is enough to meet Lake Okeechobee's TMDL (P goal) of ~105 t/y, for more than 53 years ! 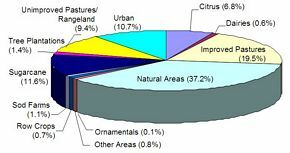 The Lake is receiving 656 tons of P per year (2009) < - - > 105 t/year is the recommended maximum. The Lake just cannot cope with the P overload that keeps pouring in ! 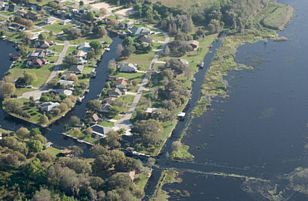 (via the Caloosahatchee and St. Lucie River) - let alone in P-sensitive Everglades located downstream. 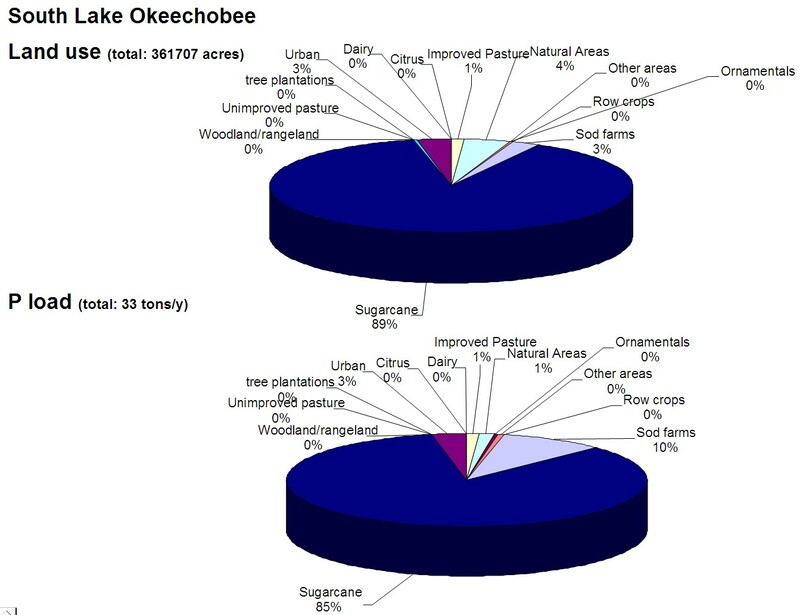 81% of the phosphorus entering Lake Okeechobee comes from its northern watershed. 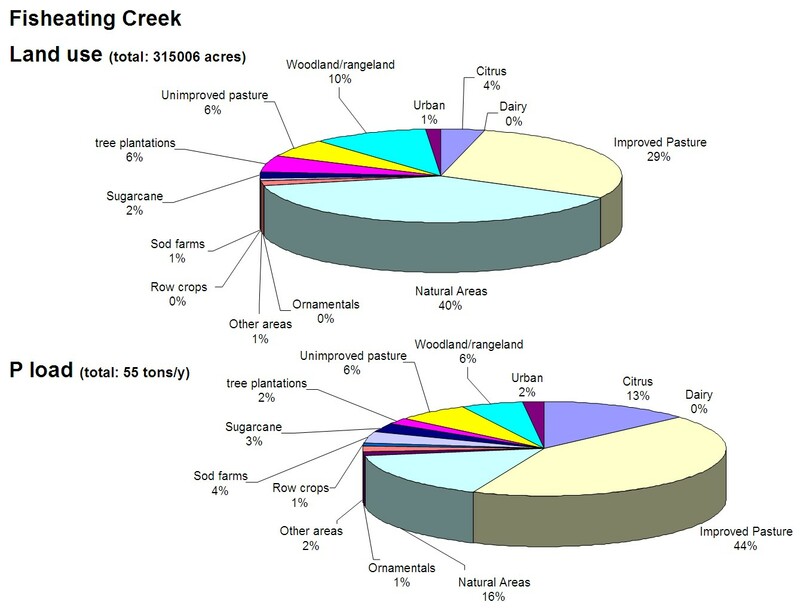 Over 90 %t of the total phosphorus entering the Lake from the north originates from Agricultural lands. 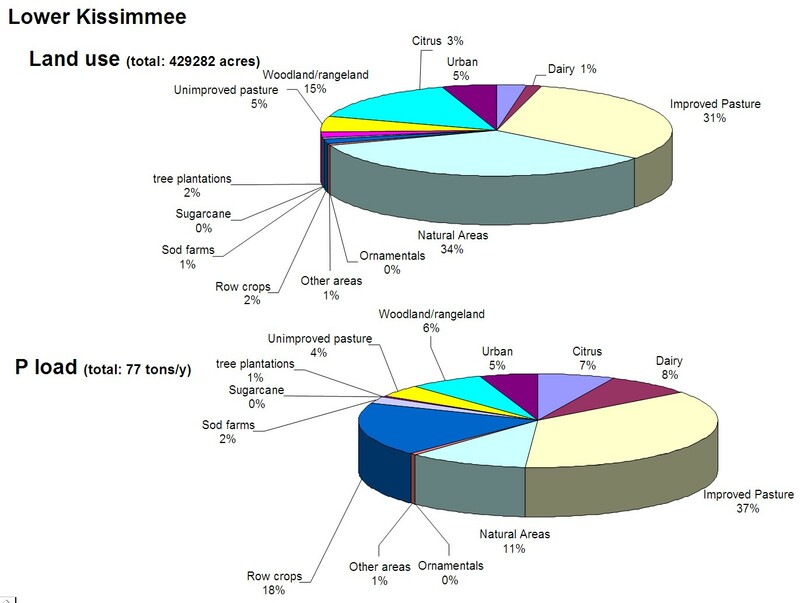 10% of the phosphorus entering the Lake comes from the southern Everglades Agricultural Area (EAA), which is dominated by sugarcane production. Since most of EAA lies below the level of LO this water is back-pumped, the practice currently largely discontinued. However, the legacy phosphorus from past years of routine back-pumping is still sitting in the Lake. 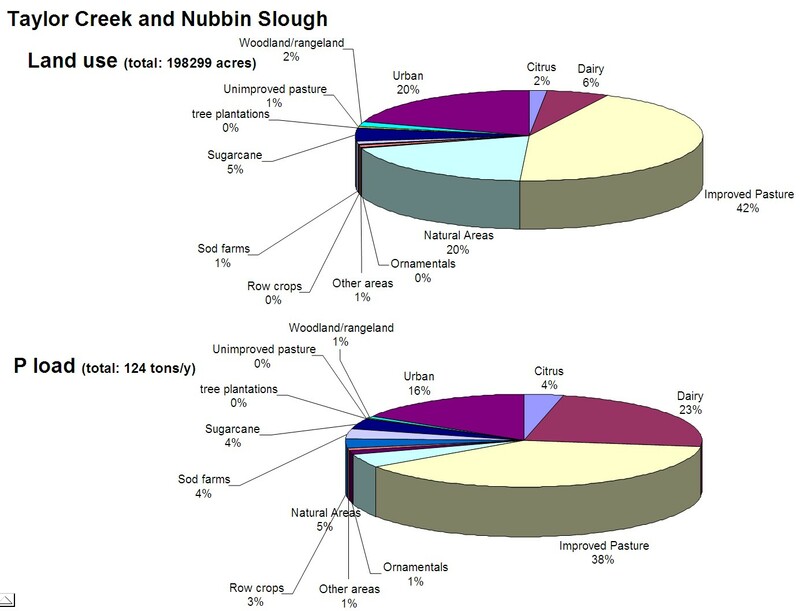 Some land uses contribute high amounts of "loose" Phosphorus - it escapes into streams and canals feeding LO. E.g. 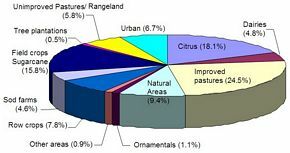 check high P contributions from "Improved Pastures"
(24.5%)", "Citrus" (18.1%), "Row Crops" (7.8%). 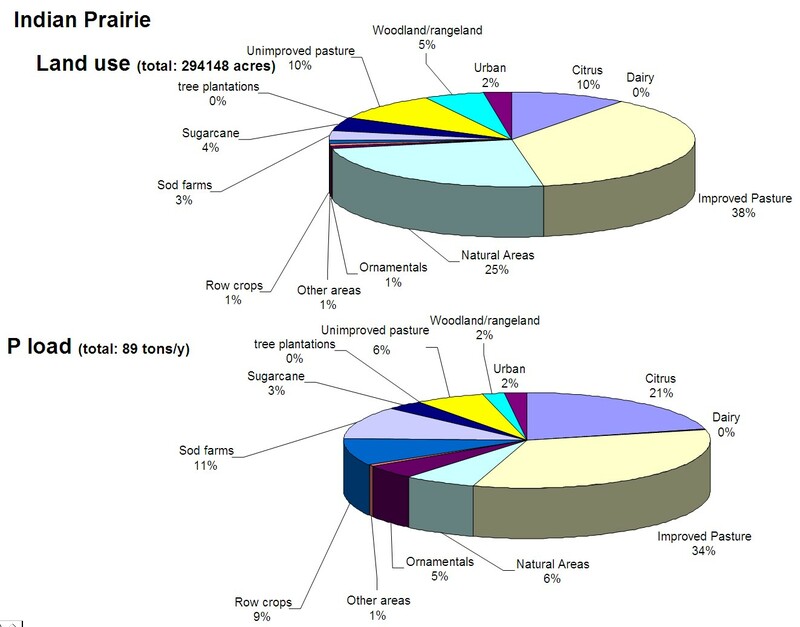 Conversely, BIG "Natural Areas" contribute relatively little P ! 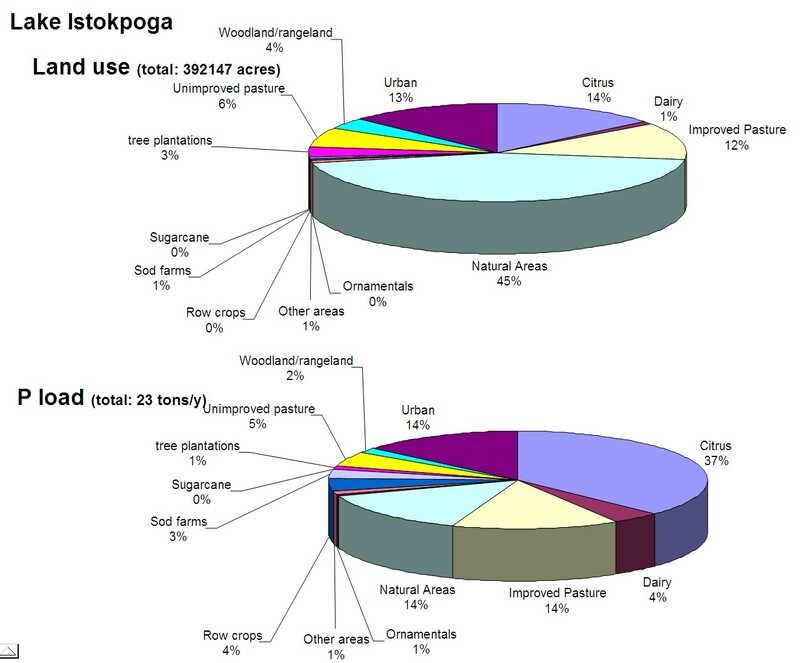 The problem is with "legacy" phosphorus deposited in soil over the decades. It is present there in highly mobile forms that leach easily and run off with rain water. 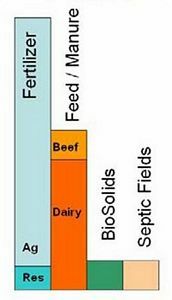 STOP spreading around Phosphorus ! 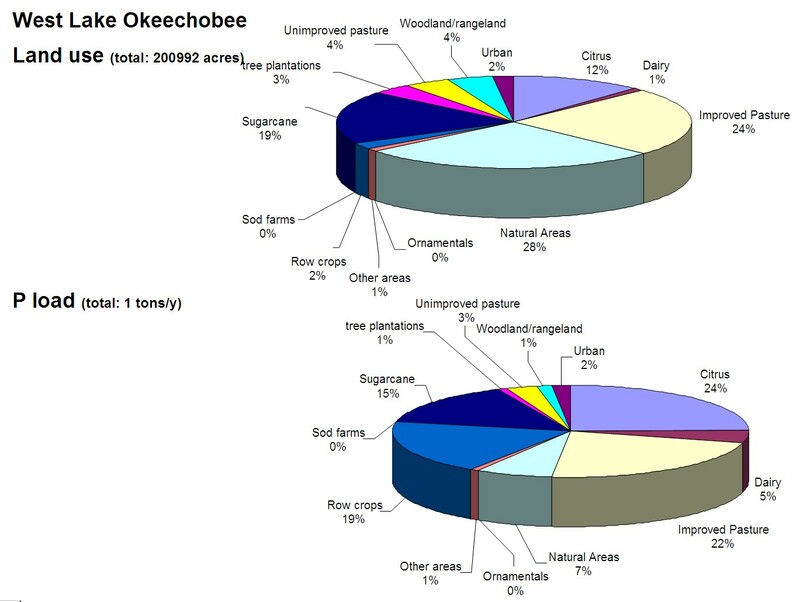 (see "Lake Okeechobee " problems). 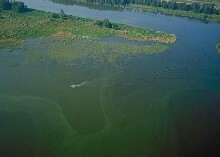 Only when the contamination from the LO watersheds is under control could we hope for healthier Lake. To clean the watershed is a complex task requiring stringent measures rigorously enforced. 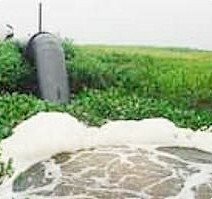 Stop harmful application/ dumping of (sludge) "boiosolids"
Legislate P as a "controlled substance"
Water quality: Toxic alagal bloom in northern LO where the phosphorus keeps pouring in through the Lake tributaries collecting it from the urban wastes and agricultural fertilizers When the algae die off, they deposit the biomass P in the Lake muds that keep accumulating. 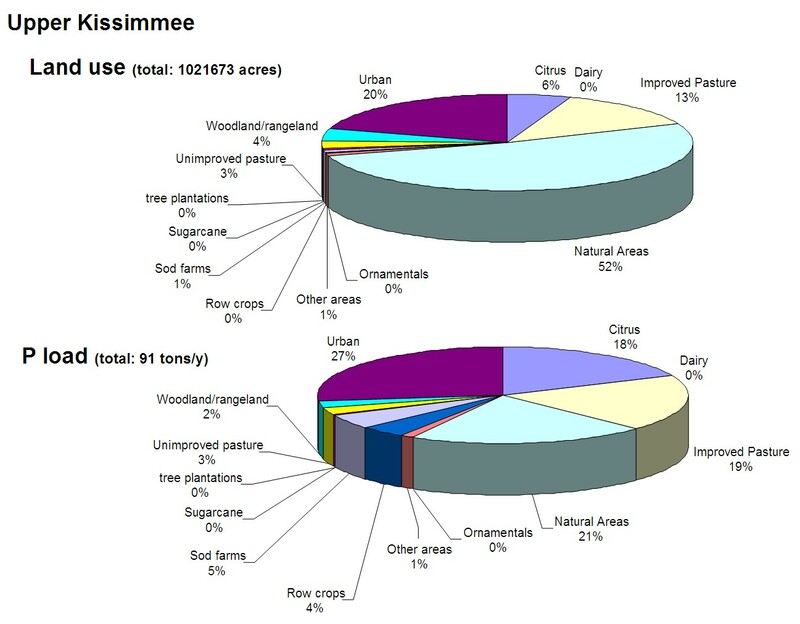 Kissimmee River flood plain : Prior to canalization, water could flood over and take months before it reached Lake Okeechobee. Then a straight canal has sped up the flow, taking the silt and contamination into the Lake. The new project has returned the river back to its original course, 56 miles of the canal filled in just recently.